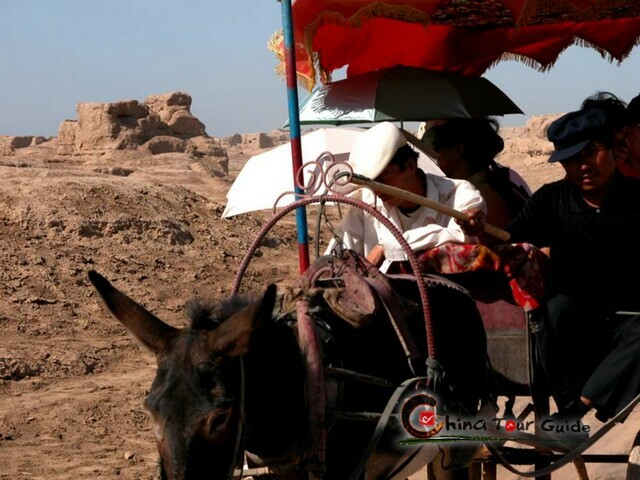 The Turpan basin is the lowest in altitude in China. The basin is up to 154 meters (505 feet) below sea level and receives practically no rain. As such, it is the hottest spot in China. Summers are sizzling with an average maximum temperature of 39.7 Celsius (103.5 F) in July. For this reason, the area has been nicknamed the 'fiery basin'. The temperatures are extreme depending on the season as in January the maximum average temperature is -2.2 Celsius (28 F). One might wonder how any human being can live in such a hostile environment, but some do and have actually forged a colorful life out of the arid region. 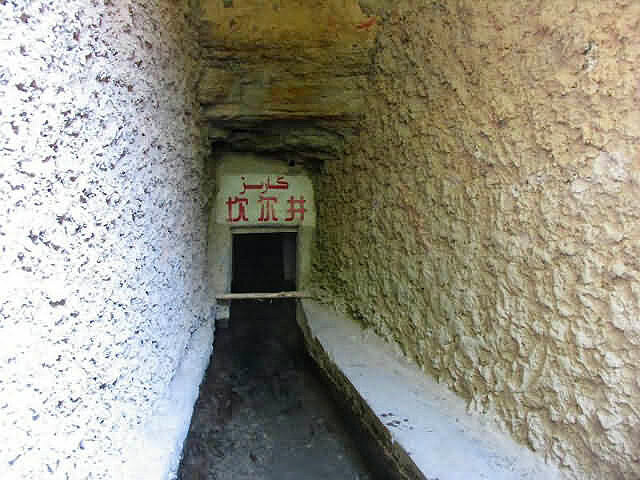 The secret to Turpan's survival is the Karez irrigation system, also known as the Karez. This network of wells is connected by underground channels, which takes full advantage of the unique region. 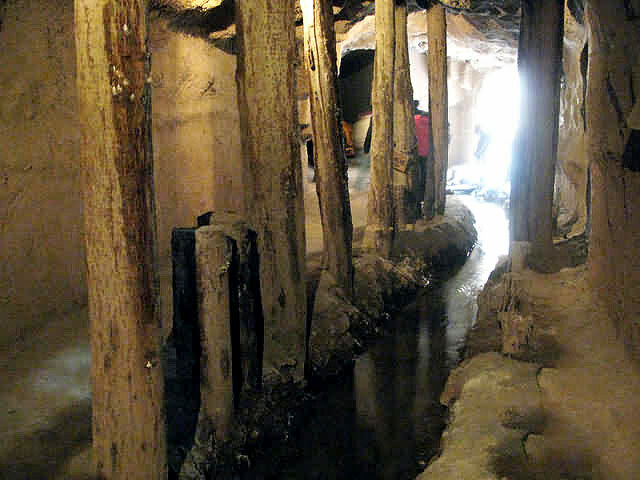 The network of wells is connected by underground channels. The network of wells is connected by underground channels. 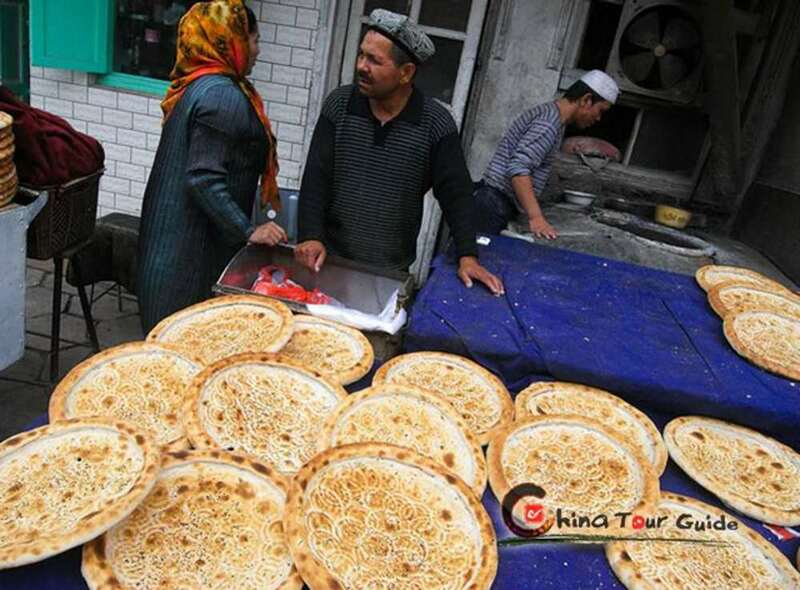 The Turpan Basin is composed of three rings of distinct terrain: the towering snow-capped mountains, the Gobi Desert, and the oasis in the center. The snow and ice on the mountains melt during warm seasons and feed into rivers. When the rivers arrive at the Gobi, they soak through the sand and become underground streams. The underwater streams flow along into the lower land, forming springs, rivers, lakes and oasis. The rivers are often seasonable and lose water to evaporation. To keep rivers from drying out, local residents have dug wells and a network of underground channels to transport water used for irrigation. These Karez systems are very elaborate irrigation systems and were amazingly constructed without using modern machinery or building materials. 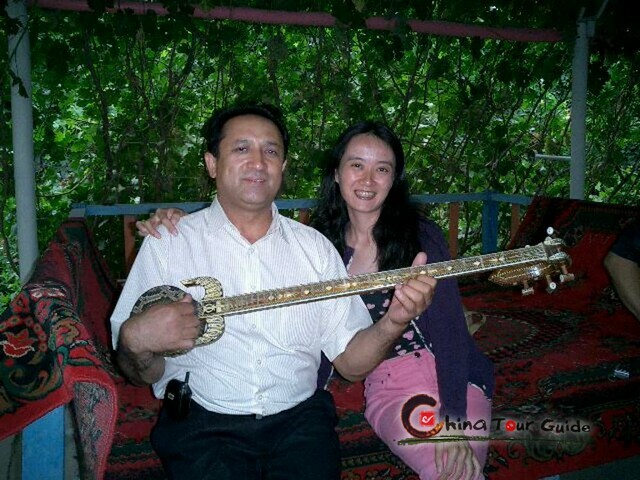 The Turpan Basin is crisscrossed with about a thousand such channels, some 850 of which are in active use. The total length of the channels reaches an incredible 5,000 kilometers (3100 miles). The Karez nourish the booming agriculture in the basin. The area is particularly famous for grapes and honey melons. The rich and fertile soil, abundant sunlight, and dry weather make fruits especially sweet.